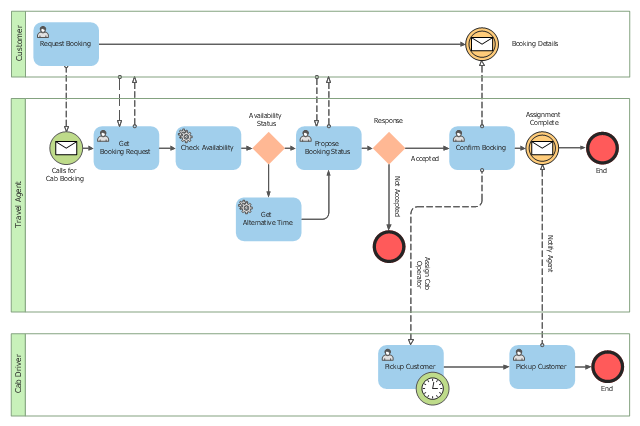 This BPMN (Business Process Model and Notation) collaboration diagram sample depicts interactions between customer, travel agent and cab driver, which are defined as a sequence of activities, and represent the message exchange during a cab booking process. 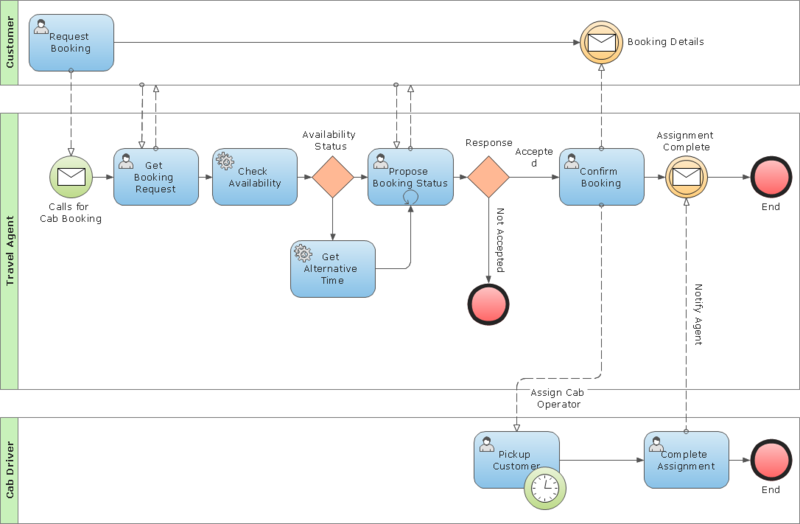 This BPMN (Business Process Model and Notation) diagram sample depicts the booking process workflow. 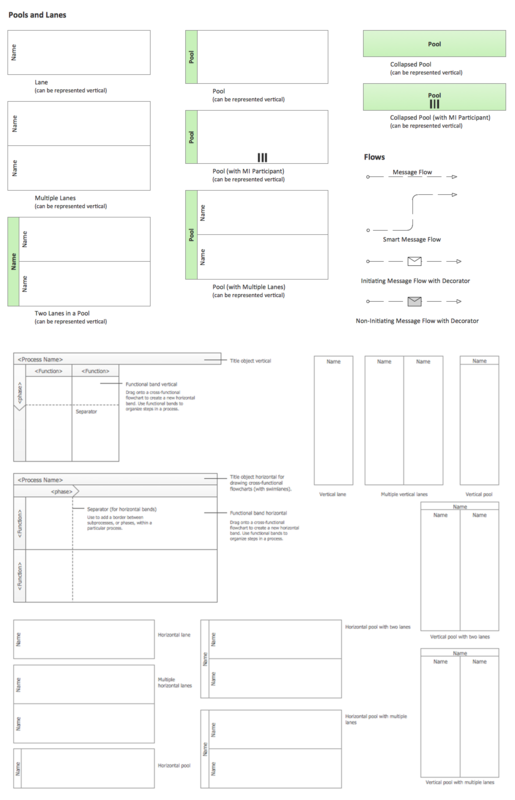 (1) Aligning BPMN with the business process definition meta model BPDM to form a single consistent language. 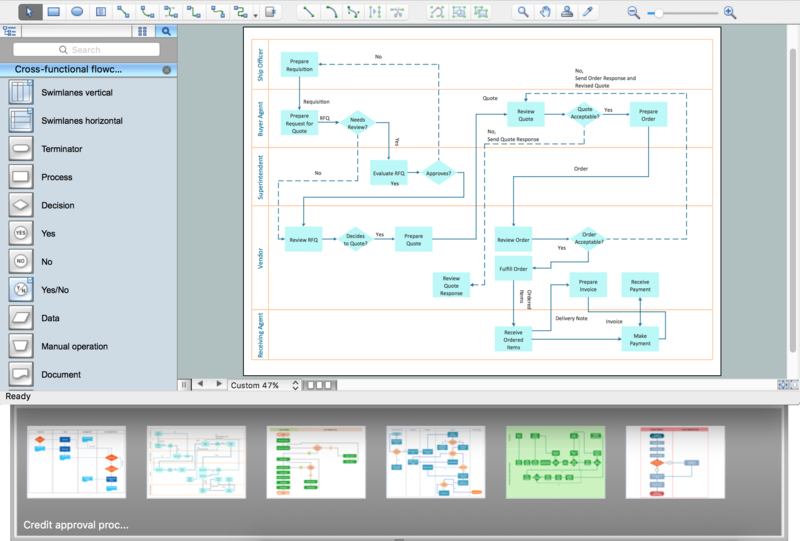 (2) Enabling the exchange of business process models and their diagram layouts among process modeling tools to preserve semantic integrity. 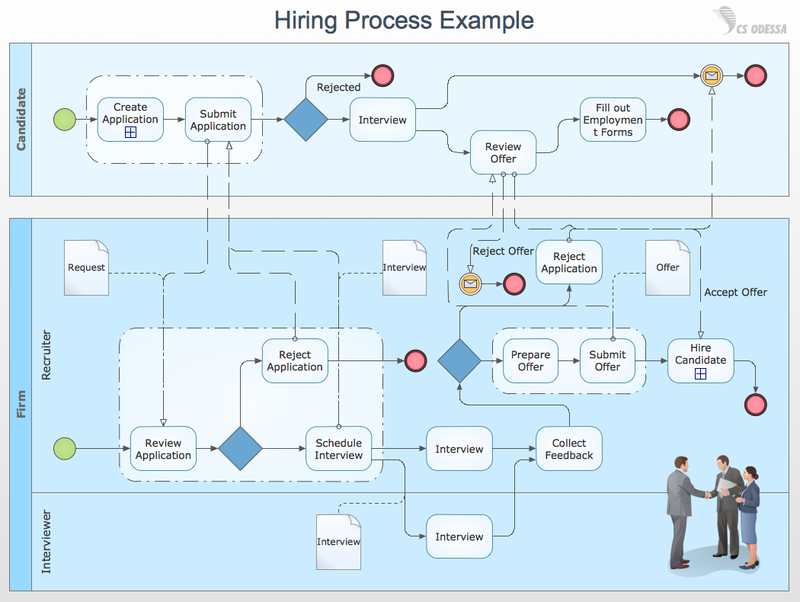 (3) Expand BPMN to allow model orchestrations and choreographies as stand-alone or integrated models. 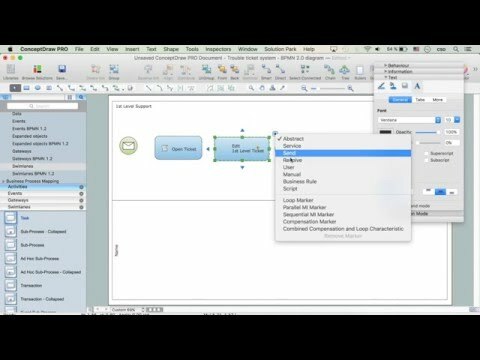 (4) Support the display and interchange of different perspectives on a model that allow a user to focus on specific concerns.